Roy Clouser is my friend and partner (I’m the junior partner, just to be clear) in this effort to create a blog that addresses the issues facing philosophy. In the past couple of posts, I have began thinking on the subject of justice. Recently, I found a transcript of Roy’s lecture at Harvard Law School in October of 2007. He presents many insights into what our western culture considers to be justice and how to address this culture philosophically. A very short excerpt follows in which he speaks of the Declaration of Independence. Also, just to be clear, I believe it is rare for someone to be invited to give a lecture on justice at Harvard Law School! I must hasten to say that this excerpt begins right after the introduction in which Dr. Clouser lays out his format for the content of the lecture. 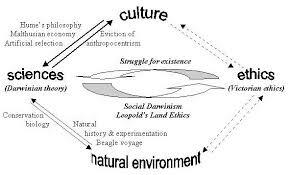 This illustration does not necessarily reflect Dr Clouser’s description of natural law theory, but it does show something of how it is developed. Let’s start with the Declaration’s version of natural law theory. The truth behind the words of that document may, I think, be summarized as follows. The truth is that all humans have a sense of justice. Every people, tribe, tongue, civilization, and culture that has ever existed recognized that it is a norm for life that people should “give to all their due” and be treated likewise by others. So I think it’s correct. Humans are “endowed by their Creator” with an awareness of this norm. And neither their awareness of it nor the norm itself are human inventions or anything they can make go away. Both seem instead to be “natural” and to generate obligations on people’s thoughts and actions whether they wish it or not. That is the element of truth I think the Declaration came close to getting right. Is There A Universal Ought the Declaration Recognizes? But the Declaration doesn’t quite put the point the way I just did. It doesn’t say there is a norm for justice built into created reality, which all people have the ability to recognize. Nor does it identify that norm as the source of the obligation they feel to obey the statutes government enacts. The Declaration does not appeal to a universal norm that obliges all humans simply because they’re human. Rather, it skips the norm for justice and speaks only of rights. This is a serious omission because such rights as it envisions could only result from the norm of justice. So as I see it, the Declaration gets things backwards. It assumes that people have rights and that those rights are the basis for justice. In fact unless people first recognized the norm of justice the whole notion of rights would make no sense. For a right can be nothing other than: a benefit or immunity that cannot be denied someone without injustice. Do Women and African Americans Have Rights? By getting the relation between the norm and rights backwards, the Declaration bases the authority for human law-codes on the subjective condition of individuals rather than on a universal norm. It was this significant distortion that led to arguments over exactly who is and isn’t born with rights. For example, in early US history political leaders actually debated whether women or African-Americans had rights. But such a debate would make no sense if rights were the result of a universal norm; in that case all people would have rights because the norm of justice holds for all people. 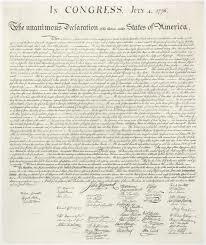 But the Declaration reversed this and tried to make the rights of individuals the basis for knowing what is just. Then – sadly enough – it did make sense to argue over who was and was not born with those rights. Does the Declaration Think Social Organizations Have Duties? The individualism of the Declaration is also deficient in yet another way. By making rights the possessions only of individuals, it fails to see that social organizations have rights (and obligations) as well. It is not only individuals who have rights and obligations vis a vis government. But so do marriages, families, churches, schools, businesses, and so on. For are not they, too, recipients of free speech and press? Are they not also to enjoy freedom from search and seizure? Should not each be guaranteed the freedom to conduct its own internal affairs rather than be dictated to by government? And do they not also have an obligation to obey the laws government enacts? By speaking only of individuals and government, the Declaration has bequeathed to America a habit of thinking in a truncated way that misses an important point. That point stems from the universality of the norm of justice. That is, justice requires that there be rights and obligations not just between individuals and government but between individuals, between individuals and all types of organizations, and among the various organizations as well. I hope this gives you some grist for your mill. We will continue this in my next post.